The Sunbrella Fusion upholstery collection is a blend of artistry and performance. The gorgeous fabrics can be used both indoor and outdoor. The Fusion collection offers a wide variety of colors and patterns. Choose from both classic and contemporary styles for ultimate design prospects. 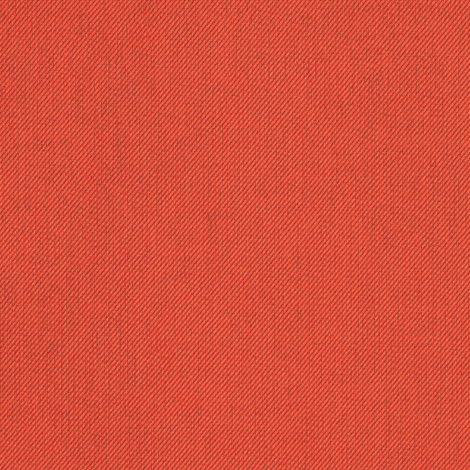 Flagship Persimmon (40014-0039) displays a polished, solid orange pattern. The fabric is best for umbrellas, curtains and drapes, patio furniture, decorative pillows, cushions, and more. Available exclusively through Trivantage, Flagship Persimmon is made from 100% Sunbrella acrylic. The fabric is mildew and water repellant for a worry-free lifestyle.